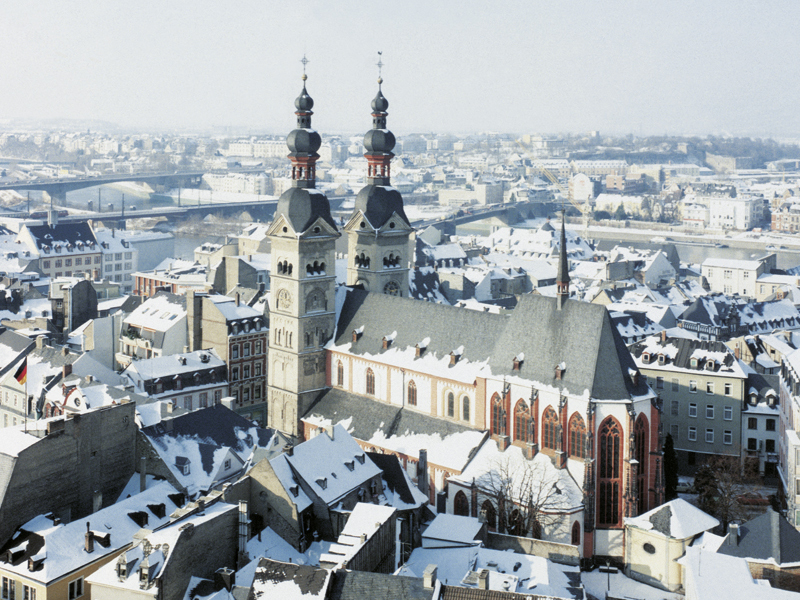 The Liebfrauenkirche (Church of Our Lady) was built on the highest point of the city and from the late middle ages to the French Revolution, it was the main parish church in Koblenz. 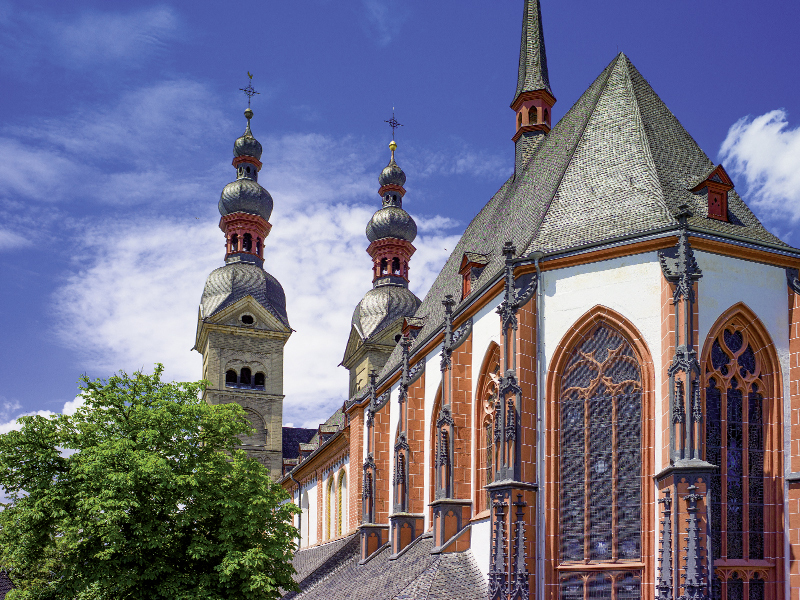 Its origins date back to the 5th century when the Franks established a church in what had been Roman buildings. It was repeatedly rebuilt and expanded using the original foundations. 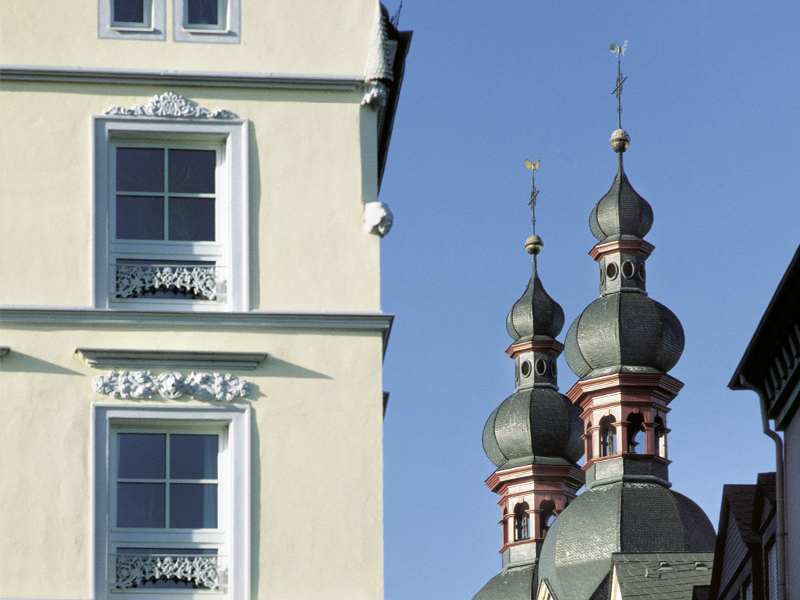 Built in the 17th century, destroyed in 1944 and reconstructed in 1955, the onion domes characterise the silhouette of the Koblenz old town. 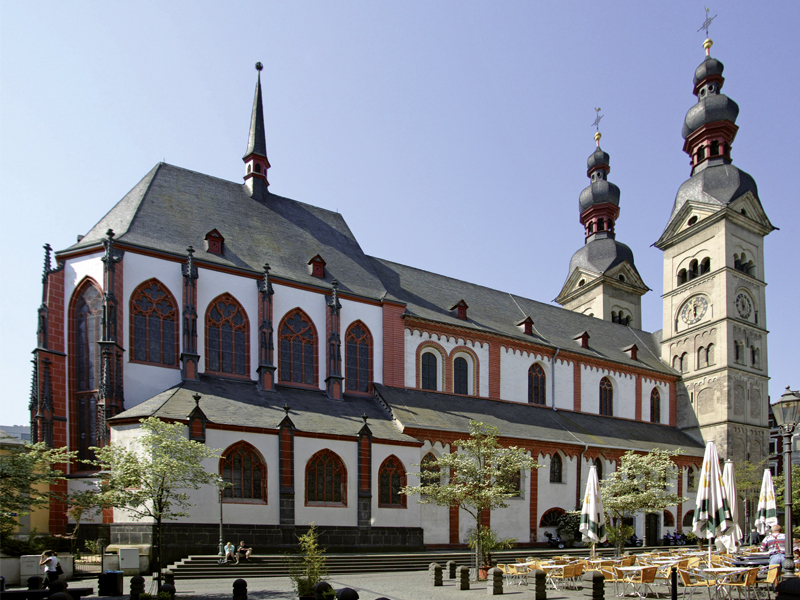 The Liebfrauenkirche has a number of significant furnishings from the period between the 15th and 18th centuries.